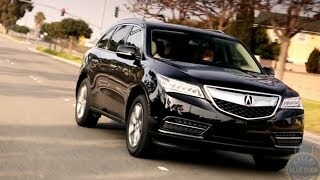 Acura released the prototype of MDX at the Detroit Auto Show and in no time moving ahead at the New York Auto Show, company unveiled the all new Acura MDX 2015. Keeping similarities with its prototype the production model kept the company’s words and leaving ball in our court. 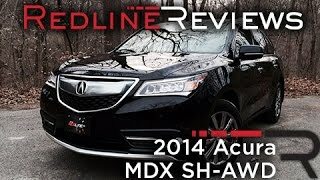 Let us have a close look at the review of Acura MDX 2015 to know it better. 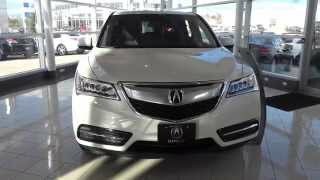 The interior of Acura MDX 2015 is elegant and gives you a touch of luxury, especially through its angular design and dual tone interior. First thing that will come to your notice will be the redesigned three spoke steering wheel. This driver interface gets an angular finish with controls getting a new position when compared to what we recently saw. However the command isn’t that harsh as the control are put together at a place and can be easily defined and learned. The rear compartment gets more space and this makes it comfortable for you to sit and relax in the third row. Second row seats are featured with extended slide button which enables you to make more space at the rear while the driver’s seat gets 10-way power adjustment with heating ability, making your drive on cold days easier. In all the premium leather trimmed interior accompanied with accent lighting in cabin and a LED overhead makes the interior classy and comfortable. The exterior of Acura MDX 2015 features company’s ‘Aero Sculpture’ design that includes signature Acura Jewel Eye LED headlights. The design language doesn’t just add to looks but also improves model’s aerodynamic efficiency when compared to predecessors. Apart from its swooping rooflines and sharp ridges on the hood; LED headlights and redesigned bumper add the glory of front fascia. 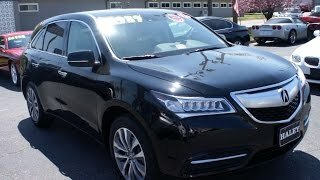 Made from lightweight materials the exterior of Acura MDX 2015 looks luxurious and thus takes a lap ahead of its predecessors in gaining the eyeballs while you roll it down the lane sitting inside the exterior built with Active noise Control technology. 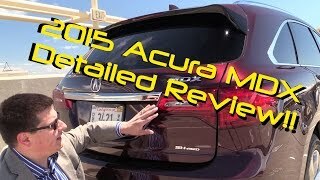 The Acura MDX 2015 gets its power through a 3.5 Liter i-VTEC SOHC V6 engine generating total output of 290 hp and peak torque of 362 nm mated to 6-speed automatic transmission. Though the output figures fall below the one generated in ancestor models but we believe that use of lightweight materials will eventually bring the performance to a better stand.